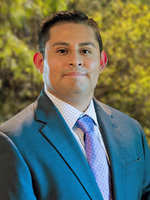 A native of San Antonio, Dr. Martinez is a graduate of Baylor University and attended medical school at the University of Texas Health Science Center at San Antonio. Dr. Martinez completed his internal medicine residency and gastroenterology fellowship at the Health Science Center. His specialty interest includes: inflammatory bowel disease, gastroesophageal reflux disease and colon cancer prevention. During his training, Dr. Martinez was awarded the Humanitarian Award for his exemplary bedside manner and patient care. In addition to clinical practice, Dr. Martinez has published numerous articles and presented his research at multiple national academic conferences. Dr. Martinez is certified by the American Board of Internal Medicine. He is fluent in Spanish.